House Hand Fans Design House Hand Fans20 MM wide polyester lanyard allows a wide space for your logo to be printed, These lanyards are idea for your large complex logo. It comes with free metal Bulldog clip with Badge Holder attached. 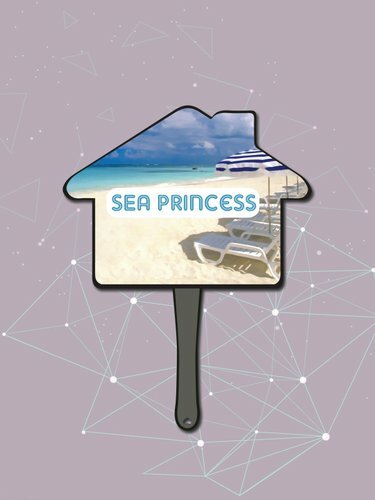 Our House Hand Fans can be nice gifts for your real estate business customers who are experiencing the hot outdoor weather looking for a perfect home or property to purchase. They will provide a welcoming relief for the customers from the heat and also good branding opportunities for your business. These house shaped fans with large imprint area will let you add your intended advertisement messages with vibrant graphics. Since they are made from thick 16 point card stock board, they are extremely sturdy. Also, they will do wonders in fuelling your business by conveying your message directly to the clients and be an effective marketing tool.